These are two common misconceptions about raw foodism. Not only are they not true, but living on raw foods alone is an extreme that is not being promoted here. Instead, simple open-mindedness about a raw food diet is what matters most. The December article “Mood for Food: Afterglow surprises with a raw vegan menu” introduced readers to Afterglow, a local farm-to-table organic restaurant. The co-founder and manager, Carmen Low, was eager to bust some common myths about raw foods. Question: What do you think raw food/clean eating is? “Sashimi,” answered sophomore Avery Kwik. “Just unprocessed stuff with no genetically modified organisms (GMOs). You grow your own veggies, nothing from the supermarket. Pure fruits and veggies and homemade stuff,” said senior Jessica Allen. “Contrary to the popular belief, raw or healthy food doesn’t have to be boring. Sure, organic fruits and veggies are at the base of clean eating, but they definitely don’t define it. 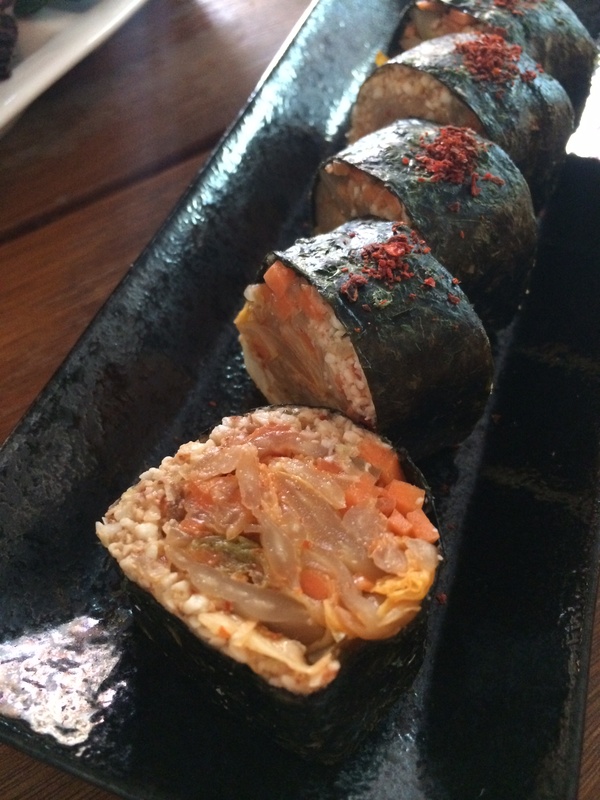 For example, at Afterglow, the most popular dish is the Kimchi Nori Rolls, which are made with homemade seven-days aged kimchi and crushed almonds instead of rice. 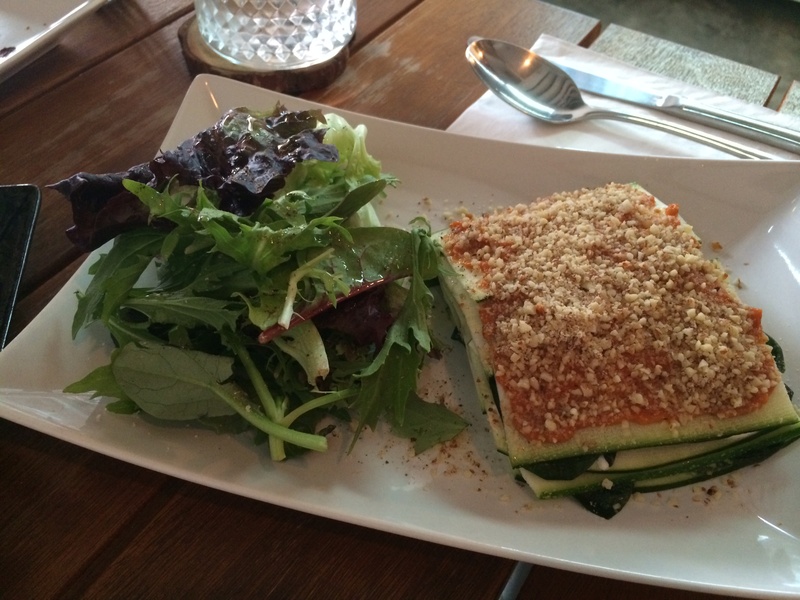 Another restaurant favorite is Raw Lasagna, which is made of thinly-sliced zucchini instead of pasta, cashew cream that replaces cheese, and marinara sauce instead of processed tomato sauce. Also, if you’re following a raw food diet, it doesn’t mean that you can’t have dessert. Chocolate Salted Caramel Fudge is here to prove this: it’s made of cocoa, avocado, tahini spread, and walnut crust. Question: Do you think that raw food is mostly for vegetarians? 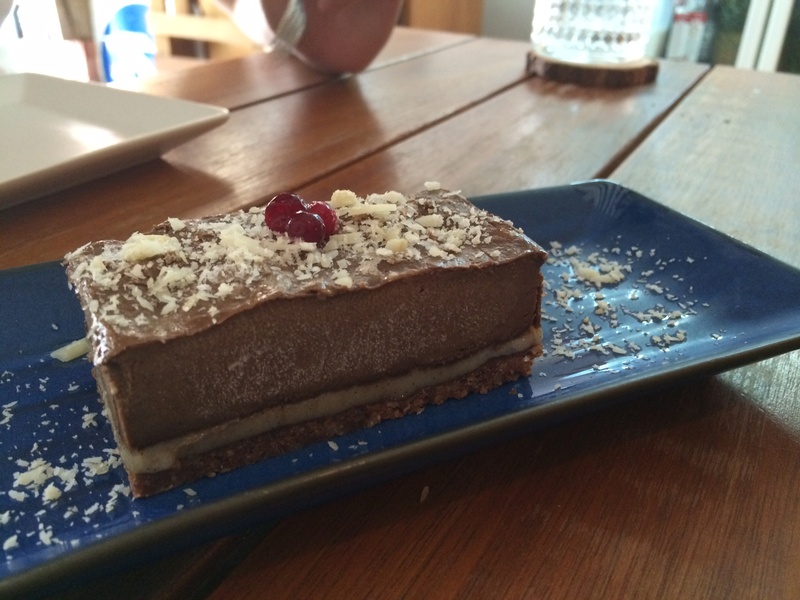 Would you personally go to a raw food restaurant? “I think that there could be many meat eaters that would be interested in what raw food has to offer and the ideas behind it, but vegans/vegetarians would most likely be the ones who actually do the diet. However, I’d love to try going to such a restaurant,” answered senior David Riegger. “I think other people can have raw food, but I’d say that it’s mostly for vegetarians,” said senior Hayley Sparrow. “A lot of people who come to Afterglow don’t know about the food that we make and most of them are not vegans or vegetarians. The whole concept of farm-to-table raw food restaurants is not about converting anyone and I, myself, am not a vegetarian, but I do enjoy healthy food tasting good. I don’t think that eating clean means eating like a hamster. Question: Do you think that creators of raw food restaurants have first-hand experience with food issues that might have inspired them to share this knowledge with others or are they following a new food trend? “I think they’re just following the people and the trends and what’s hip,” said sophomore Izak Arwan. “I think that the creation of healthy, raw food restaurants has to do with people getting more educated about what they should be eating. Nowadays, even at regular restaurants, healthy options are being demanded by the general public. Therefore, knowing what the public wants is the trick to any successful business,” answered senior Rafaela Peterson. 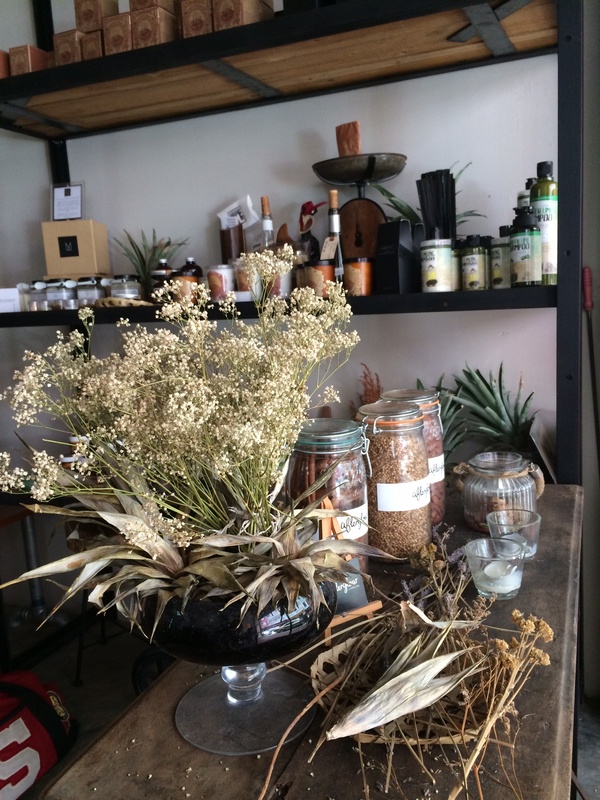 “The inspiration behind the creation of this particular farm-to-table raw food restaurant has to do with my own person experience. My partner and I spent the last four years in China, still a developing country, where there were a lot of food scandals. It’s different from Singapore where the authorities are strict about hygiene safety. Question: Do you think there are organic farms in Singapore? “There aren’t a lot of farms in Singapore, but there are some and I’m guessing there is at least one organic farm,” said senior Gabby Leow. “I think there are natural plants like coconuts that grow in Singapore, but I don’t think they have any organic tree or animal farms on such a small island. Singapore imports all of its organic plants,” answered junior Maggie Bryan. After eating at Afterglow and interviewing the owner, this reporter feels more knowledgeable and excited about raw food than ever. Not only is it anything but boring, but it’s also just as accessible and affordable as your typical PS Cafe burger. Prev Modern Media: What happened to reality?